those that speak to love in general. Because the Lord disciplines those he loves, as a father the son he delights in (Proverbs 3:12 NIV). 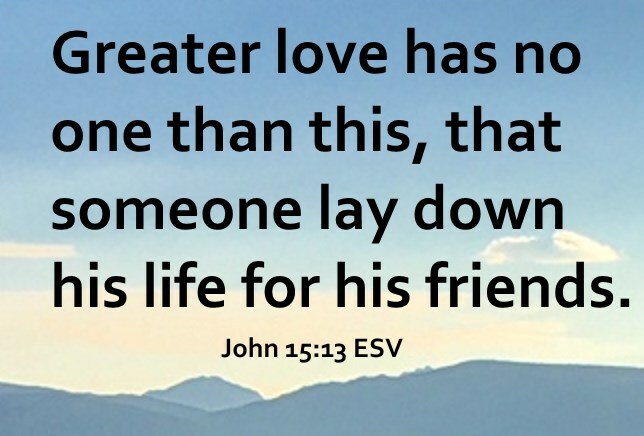 Greater love has no one than this, that someone lay down his life for his friends (John 15:13 ESV). And hope does not put us to shame, because God's love has been poured into our hearts through the Holy Spirit who has been given to us (Romans 5:5 ESV). Nor height, nor depth, nor any other creature, shall be able to separate us from the love of God, which is in Christ Jesus our Lord (Romans 8:39). For the love of Christ controls us, because we have concluded this: that one has died for all, therefore all have died (2 Corinthians 5:14 ESV). But God, being rich in mercy, because of the great love with which he loved us (Ephesians 2:4 ESV). And to know the love of Christ that surpasses knowledge, that you may be filled with all the fullness of God (Ephesians 3:19 ESV). 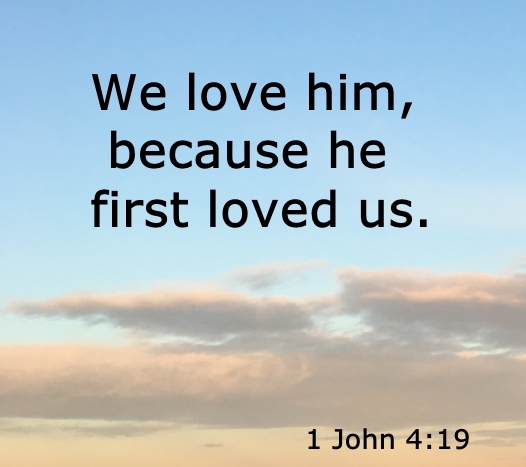 So we have come to know and to believe the love that God has for us. God is love, and whoever abides in love abides in God, and God abides in him (1 John 4:16 ESV). Hear, O Israel: The Lord our God is one Lord: And thou shalt love the Lord thy God with all thine heart, and with all thy soul, and with all thy might (Deuteronomy 6:4-5). Know therefore that the LORD thy God, he is God, the faithful God, which keepeth covenant and mercy with them that love him and keep his commandments to a thousand generations (Deuteronomy 7:9). Take good heed therefore unto yourselves, that ye love the LORD your God (Joshua 23:11). O you who love the Lord, hate evil! He preserves the lives of his saints; he delivers them from the hand of the wicked (Psalm 97:10 ESV). I love the LORD, because he hath heard my voice and my supplications (Psalm 116:1). The Lord preserves all who love him, but all the wicked he will destroy (Psalm 145:20 ESV). I walk in the way of righteousness, in the paths of justice, granting an inheritance to those who love me, and filling their treasuries (Proverbs 8:20-21 ESV). I prayed to the Lord my God and made confession, saying, O Lord, the great and awesome God, who keeps covenant and steadfast love with those who love him and keep his commandments (Daniel 9:4 ESV). Whoever of you loves life and desires to see many good days keep your tongue from evil and your lips from telling lies (Psalms 34:12-13 NIV). Do not correct a scoffer, lest he hate you; Rebuke a wise man, and he will love you (Proverbs 9:8 NKJV). Better a small serving of vegetables with love than a fattened calf with hatred (Proverbs 15:17 NIV). A friend loves at all times, and a brother is born for a time of adversity (Proverbs 17:17 NIV). Live happily with the woman you love through all the meaningless days of life that God has given you under the sun. The wife God gives you is your reward for all your earthly toil (Ecclesiastes 9:9 NLT). Love each other with genuine affection, and take delight in honoring each other (Romans 12:10 NLT). I therefore, a prisoner for the Lord, urge you to walk in a manner worthy of the calling to which you have been called, with all humility and gentleness, with patience, bearing with one another in love, eager to maintain the unity of the Spirit in the bond of peace (Ephesians 4:1-4 ESV). In the same way, husbands ought to love their wives as they love their own bodies. For a man who loves his wife actually shows love for himself (Ephesians 5:28 NLT). And may the Lord make you increase and abound in love for one another and for all (1 Thessalonians 3:12 ESV). And so train the young women to love their husbands and children (Titus 2:4 ESV). 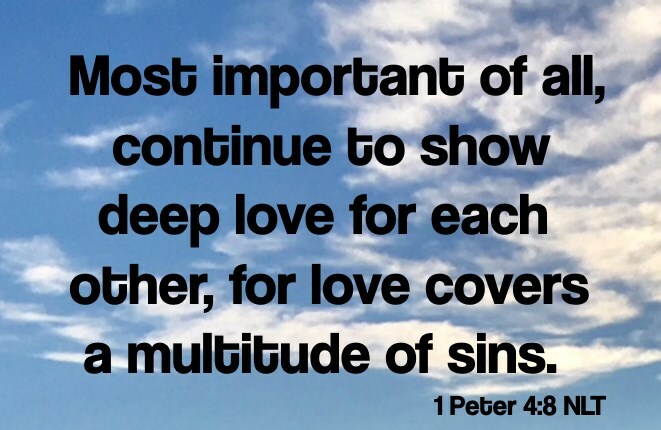 Most important of all, continue to show deep love for each other, for love covers a multitude of sins (1 Peter 4:8 NLT). In view of all this, make every effort to respond to God’s promises. Supplement your faith with a generous provision of moral excellence, and moral excellence with knowledge, and knowledge with self-control, and self-control with patient endurance, and patient endurance with godliness, and godliness with brotherly affection, and brotherly affection with love for everyone (2 Peter 1:5-7 NLT). Do not forsake wisdom, and she will protect you; love her, and she will watch over you (Proverbs 4:6 NIV). Whoever loves instruction loves knowledge, But he who hates correction is stupid (Proverbs 12:1 NKJV). The tongue has the power of life and death, and those who love it will eat its fruit (Proverbs 18:21 NIV). One who loves a pure heart and who speaks with grace will have the king for a friend (Proverbs 22:11 NIV). Open rebuke is better than secret love (Proverbs 27:5). Many waters cannot quench love, nor can rivers drown it. 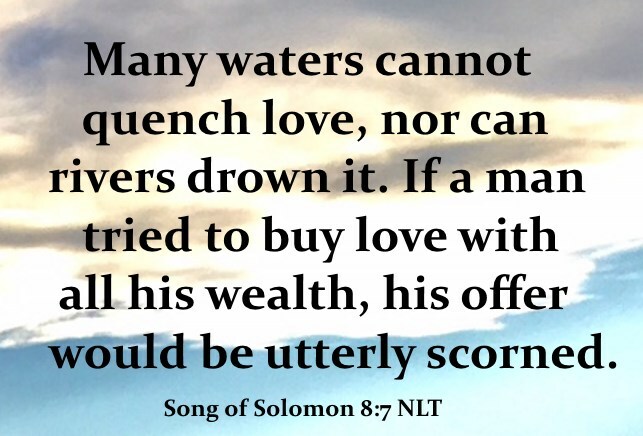 If a man tried to buy love with all his wealth, his offer would be utterly scorned (Song of Solomon 8:7 NLT). But I say, love your enemies! Pray for those who persecute you! In that way, you will be acting as true children of your Father in heaven. For he gives his sunlight to both the evil and the good, and he sends rain on the just and the unjust alike. If you love only those who love you, what reward is there for that? Even corrupt tax collectors do that much (Matthew 5:44-46 NLT). No one can serve two masters. For you will hate one and love the other; you will be devoted to one and despise the other. You cannot serve God and be enslaved to money (Matthew 6:24 NLT). And above all these put on love, which binds everything together in perfect harmony (Colossians 3:14 ESV). For “Whoever desires to love life and see good days, let him keep his tongue from evil and his lips from speaking deceit; let him turn away from evil and do good; let him seek peace and pursue it (1 Peter 3:10-11 ESV).